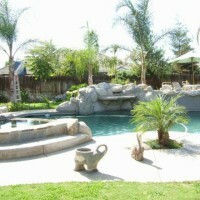 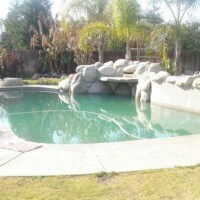 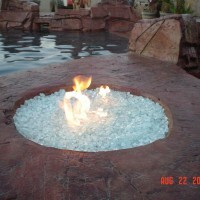 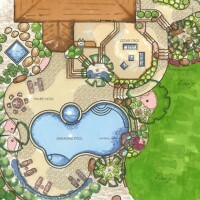 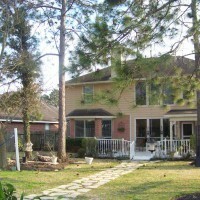 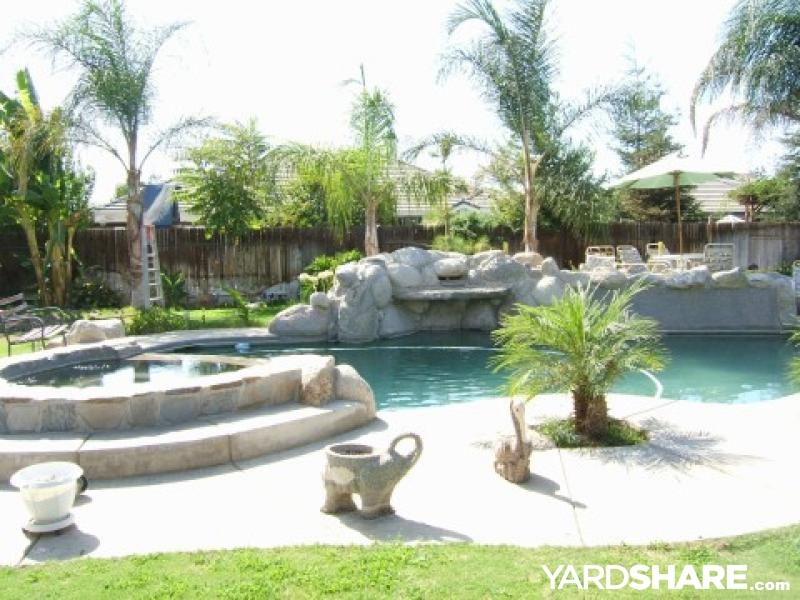 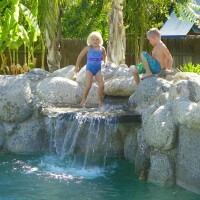 We have beautiful tropical back yard with a pool with a rock waterfall and attached rock spa. 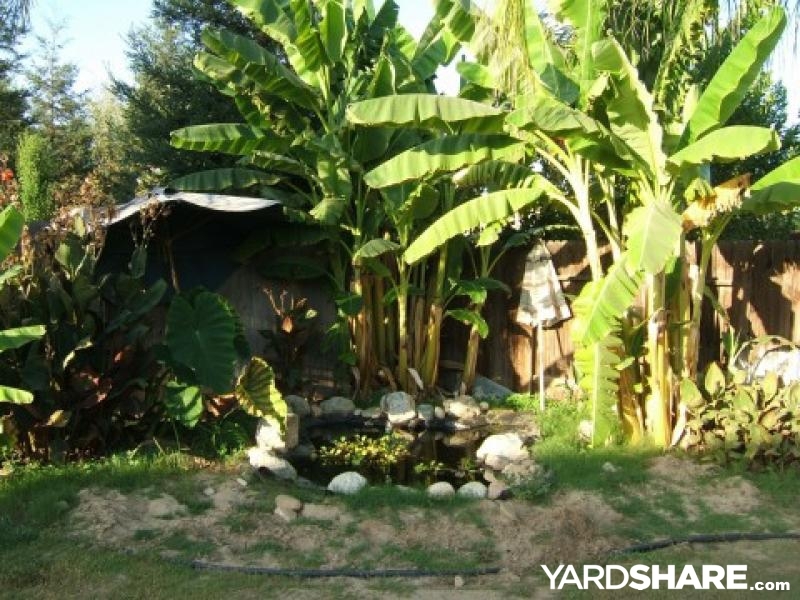 In one back corner is a corner with banana trees. 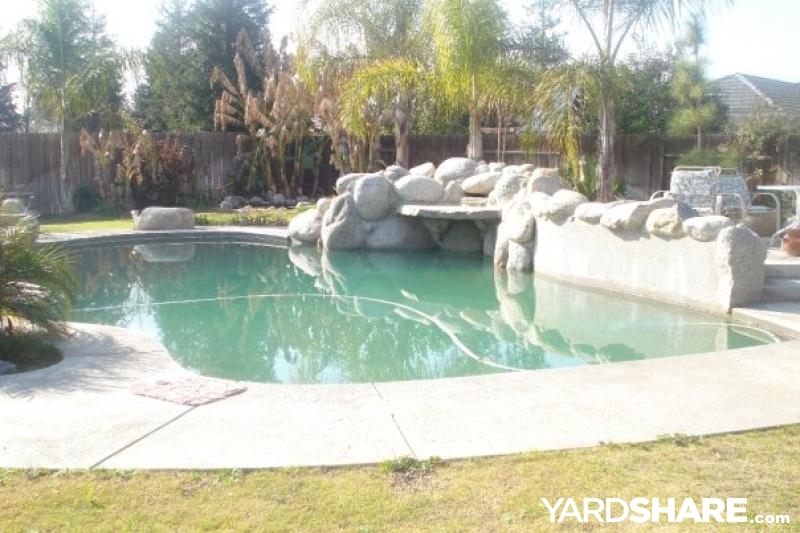 I want your pool in my yard! 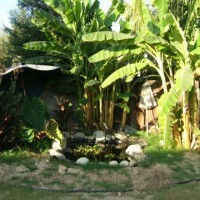 Love the banana trees!